Earlier in the week I mentioned the project I taught last weekend at Extravaganza. Today I'd like to share with you the projects that the other teams taught. 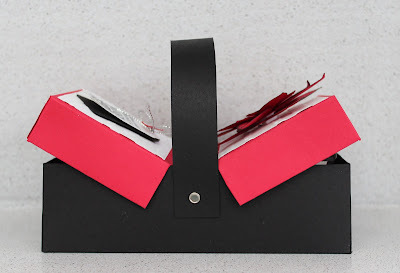 First we have a gift card wallet. 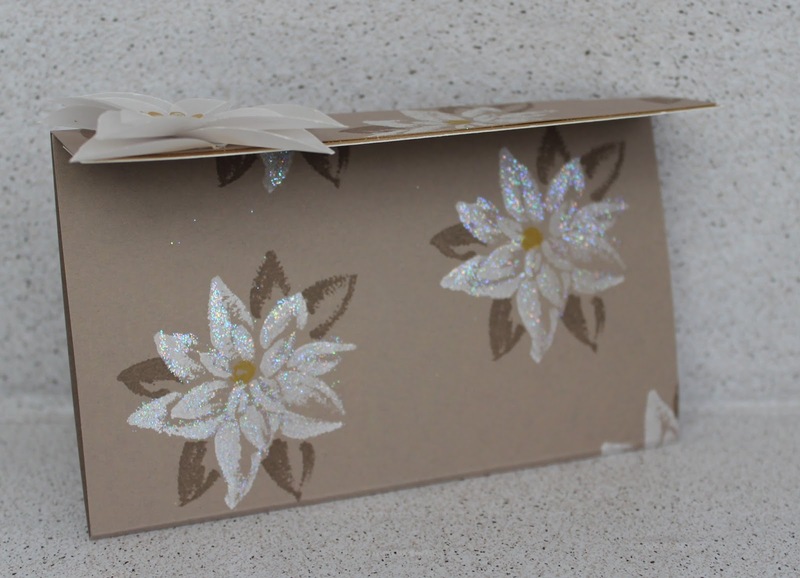 This was a lovely wallet with its gold, glitter and soft white velum. 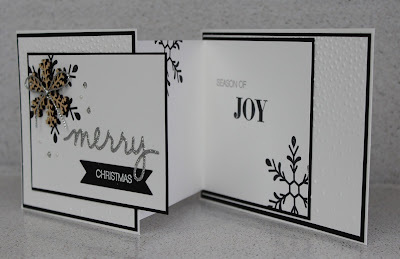 They used the Reason for the Season stamp set and co-ordinating Festive Flower Builder punch. Buy these two together as a bundle and you save 15%. Inside the wallet a pop of real red, gives a nice surprise when you open it and gives a lovely Christmas feel to it. Next was a Picnic Hamper. 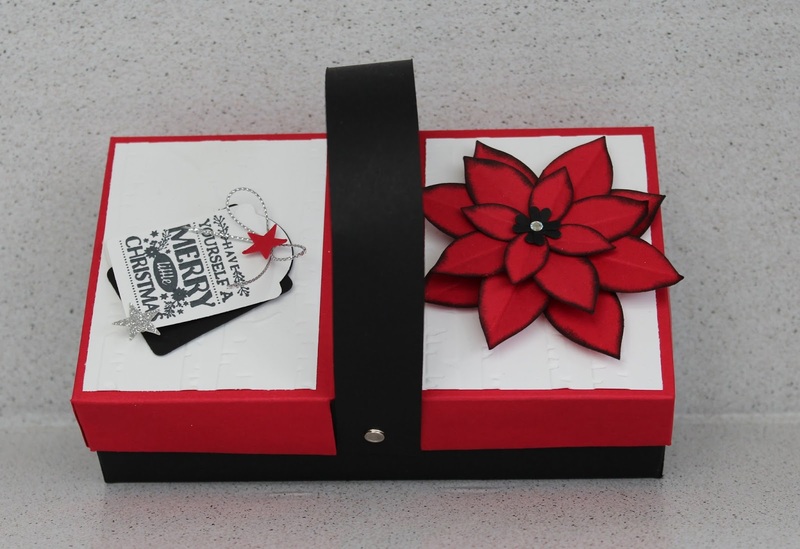 There's so many things you could put in these wonderful little boxes - perhaps a packet of homemade Christmas cookies? 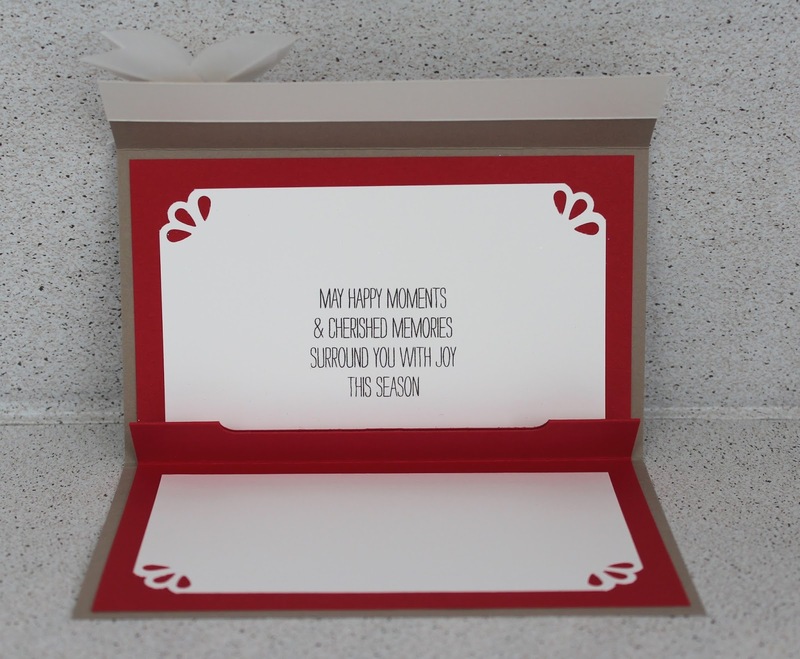 Here's the basket side on so you can see how it opens up and below a view from the top. 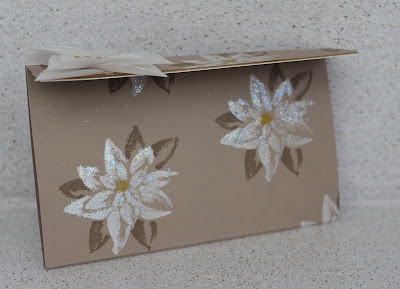 Its very difficult to tell from my photos but they have also used the Woodland Embossing folder on the white panels. Then the guests made a pillow box using the Pillow Box die. 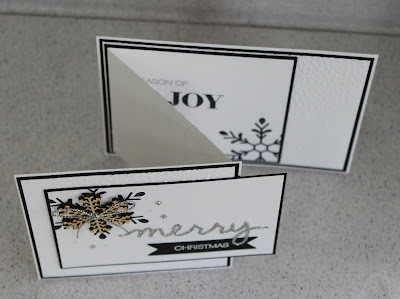 This group chose to use the Softly Falling embossing folder, Winter Wonderland Designer Series Paper, and Silver or Gold Foil (my photo shows the silver version). 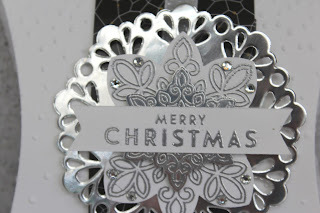 Can you see the embossing here in a close up shot? 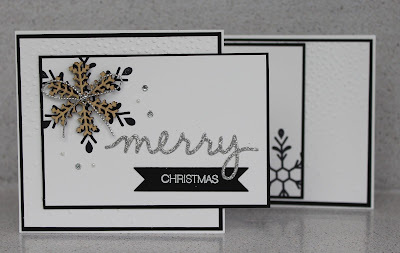 and here you can see a close up of the Snowflake in the middle from the Flurry of Wishes set and the silver embossing on the sentiment. You can get creative on what you put inside this little box too - a few small chocolates perhaps? 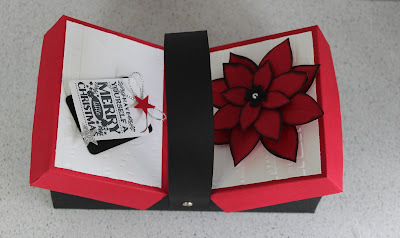 Lastly a very different way to fold a card this Z Fold card was a appreciated among the guests. 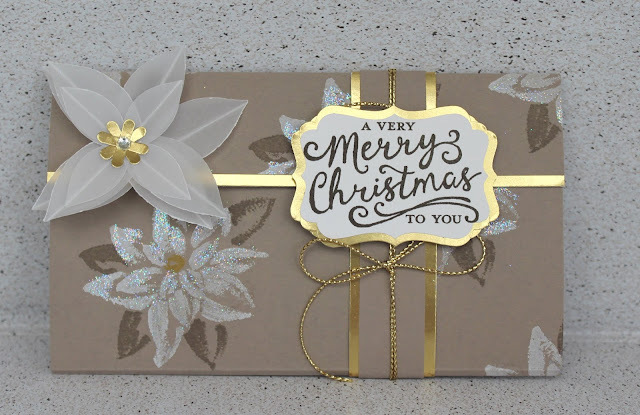 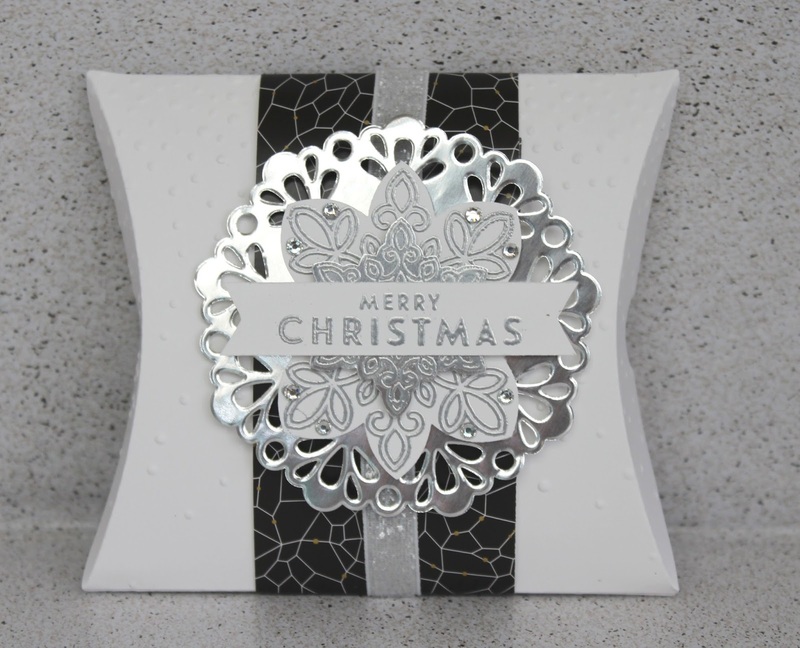 It uses the Softly Falling embossing folder too and our wooden Snowflake Elements on the front. 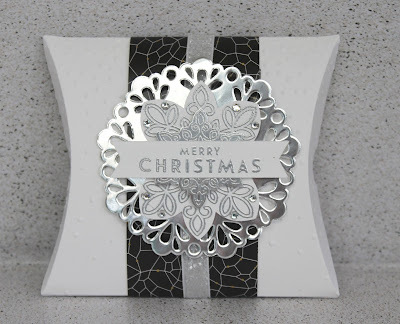 The silver 'Merry' has been cut from Silver Glimmer paper using the Christmas Greetings dies which looks very effective with the simple black and white of this card. 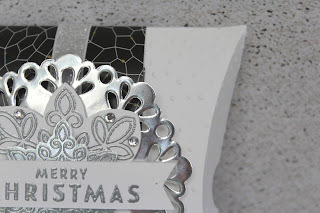 but here in this shot from above you get the idea as to why its called a 'Z fold'.